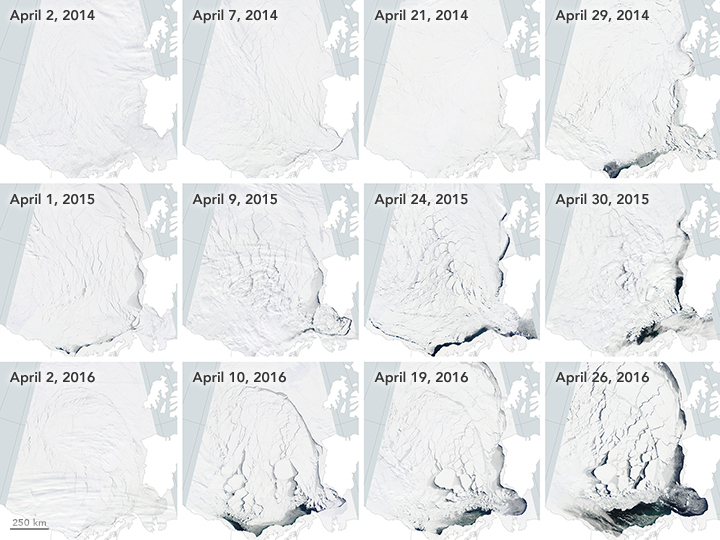 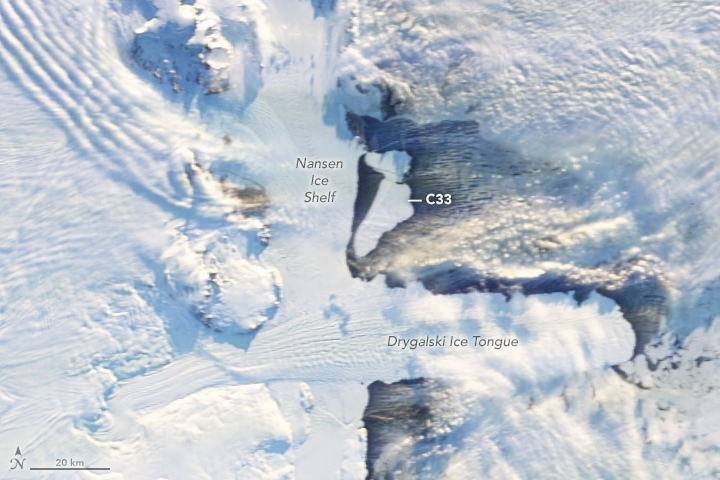 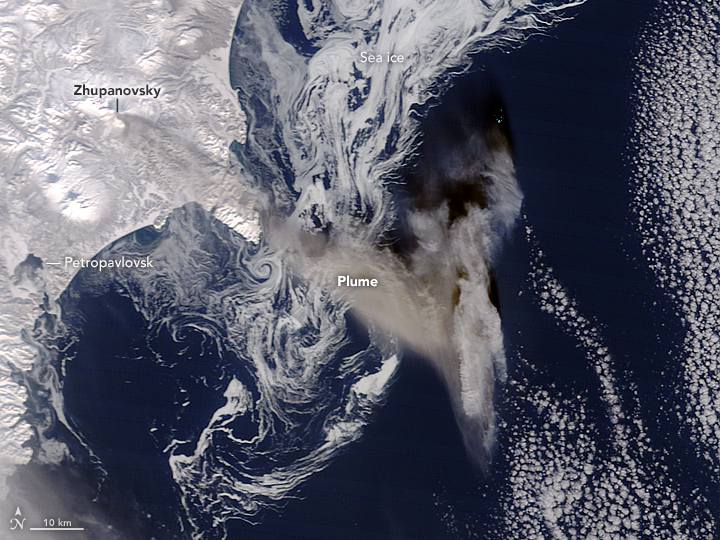 Ash Plume and Sea Ice Near Zhupanovsky – Since October, 2015 Zhupanovsky volcano in far eastern Russia has periodically been spewing ash into the atmosphere. 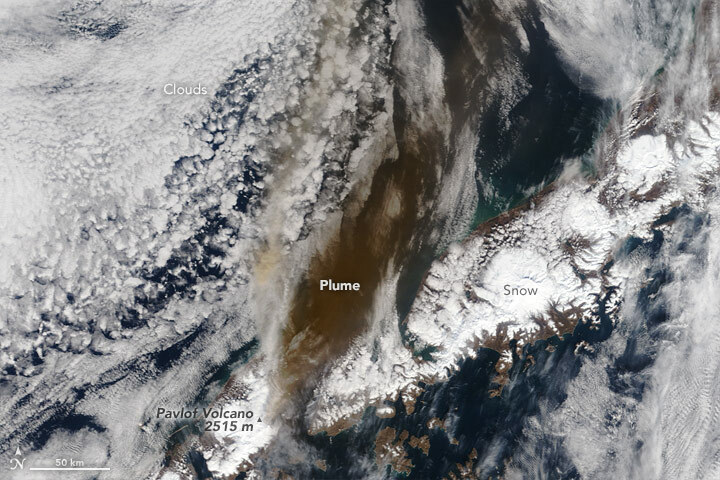 This MODIS image from February 13, 2016 shows an ash plume from Zhupanovsky volcano, which resulted in a code-red for air travel in the region. 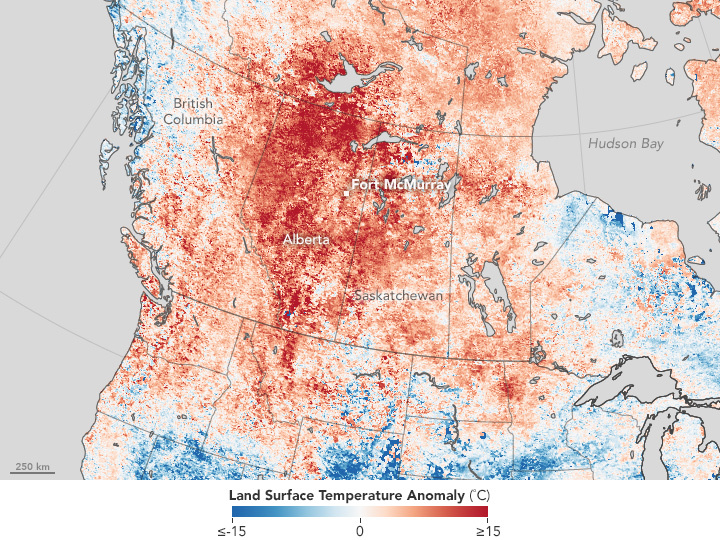 The Demise of the Warm Blob – Ocean surface temperatures, showed a warm “blob” off the northern United State’s coast. 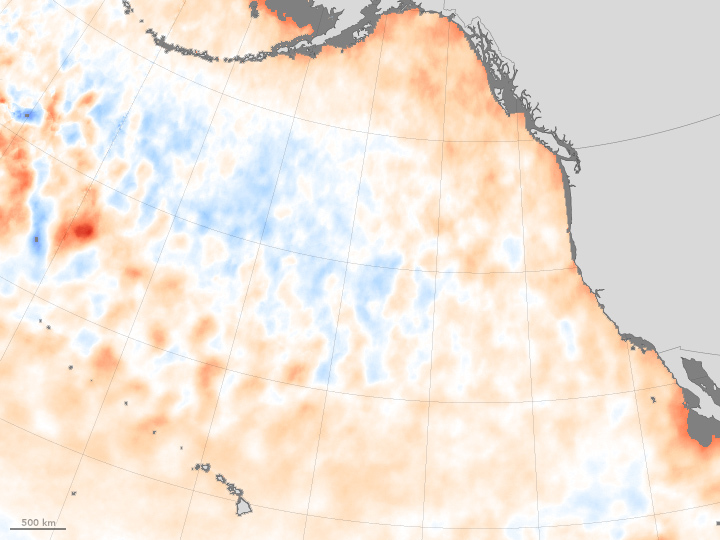 This cell of warm ocean water in the Pacific Ocean no longer is present, having lasted from the winter of 2013 through December of 2015. 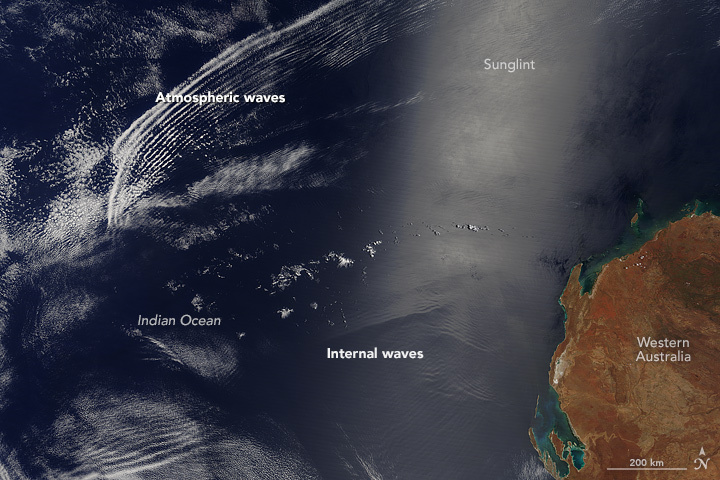 Waves Above and Below the Water – The Moderate Imaging Spectroradiometer on NASA’s Terra satellite acquired an image of wave patterns in the sky and in the water off the coast of Western Australia. 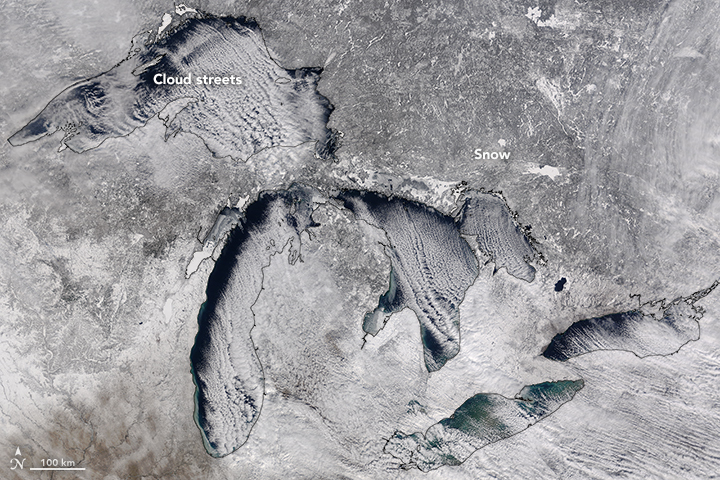 Cloud Streets Over the Great Lakes – MODIS captured this image of cloud streets crossing the Great Lakes. 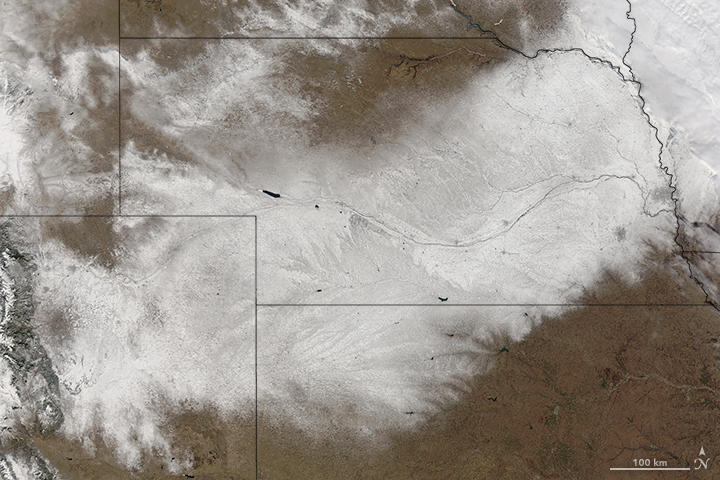 Snow in the Central U.S. – Snow from a blizzard blanketed parts of the Midwest. 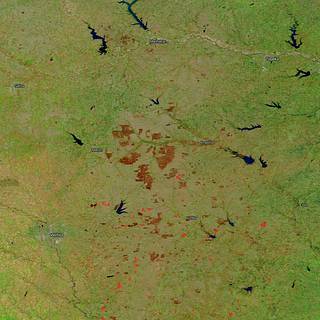 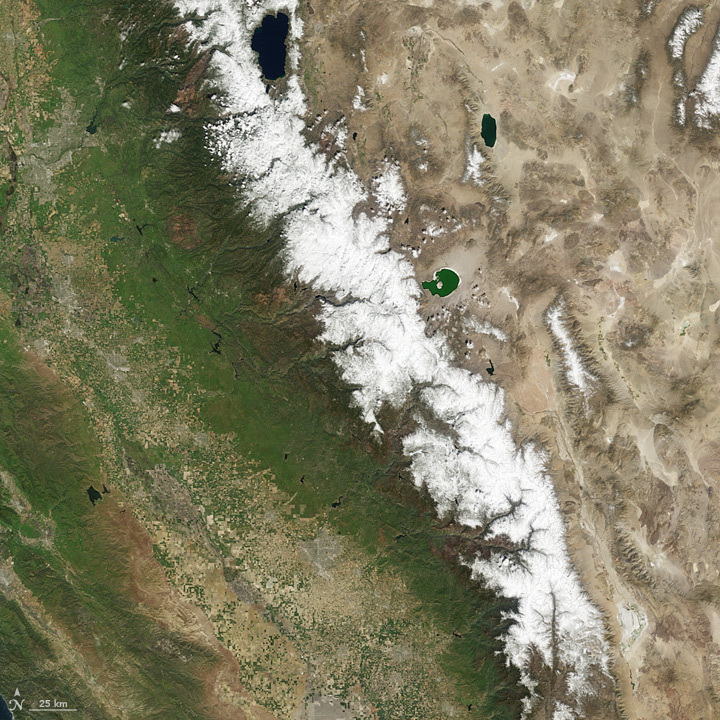 This image from Terra’s Moderate Imaging Spectroradiometer (MODIS) captured the snow that remained after the clouds cleared over Nebraska. 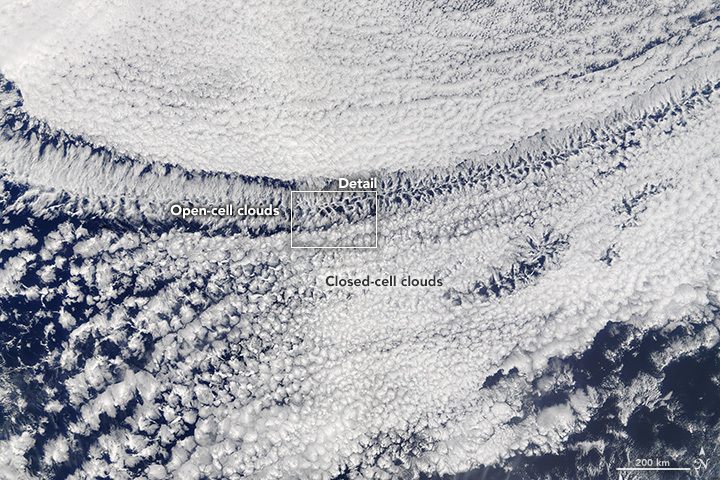 Open- and Closed-Celled Clouds over the Pacific – Terra’s Moderate Imaging Spectroradiometer (MODIS) captured in one image examples of two different types of convective clouds, open-celled and closed-celled. 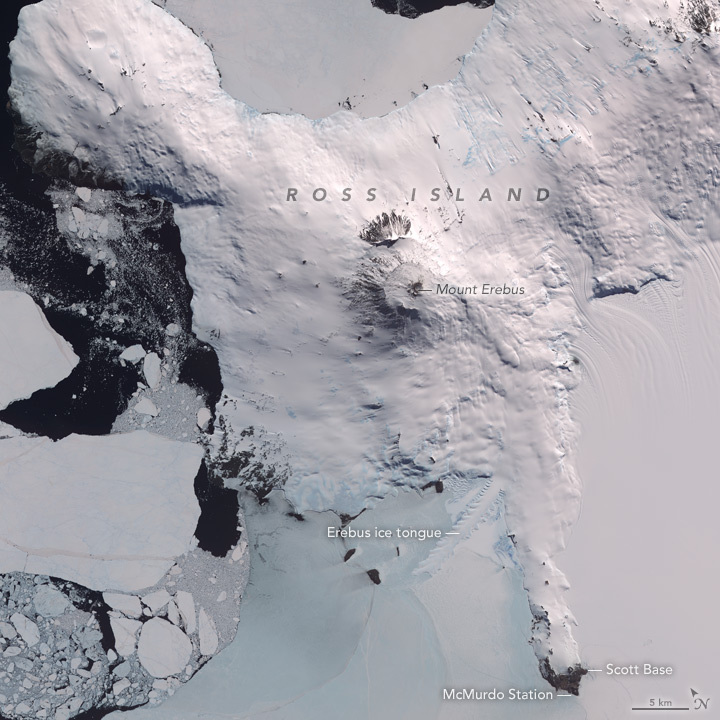 Mount Erebus, Antarctica – Mount Erebus in Antarctica, thought to be the most southern volcano is still active. 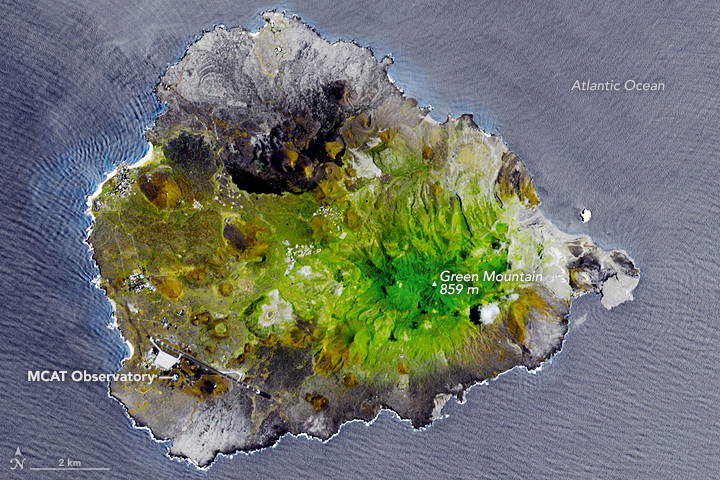 The Advanced Spaceborne Thermal Emissions and Reflection Radiometer (ASTER) on NASA’s Terra satellite captured images in visible and infrared, showing not just the volcano, but also the lava lake in its interior. 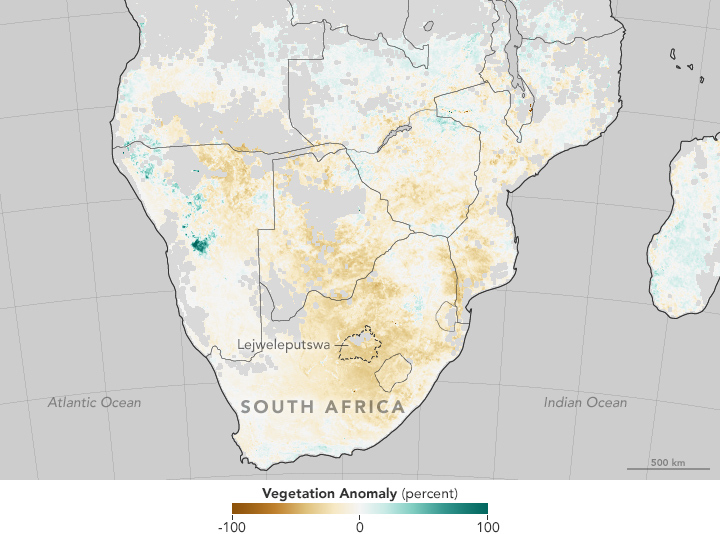 Drought in Southern Africa – Normalized Difference Vegetation Index (NDVI) data from Terra’s Moderate Imaging Spectroradiometer (MODIS) sensor are being used to track drought conditions in southern Africa, analyzing the effects of the current strong El Niño on vegetation. 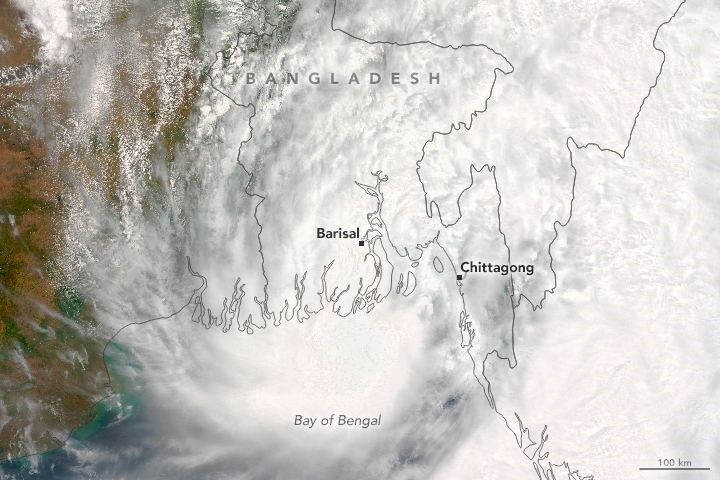 The American Geophysical Union recently concluded its Fall meeting in San Fransisco, California from December 14 – 18, 2015. 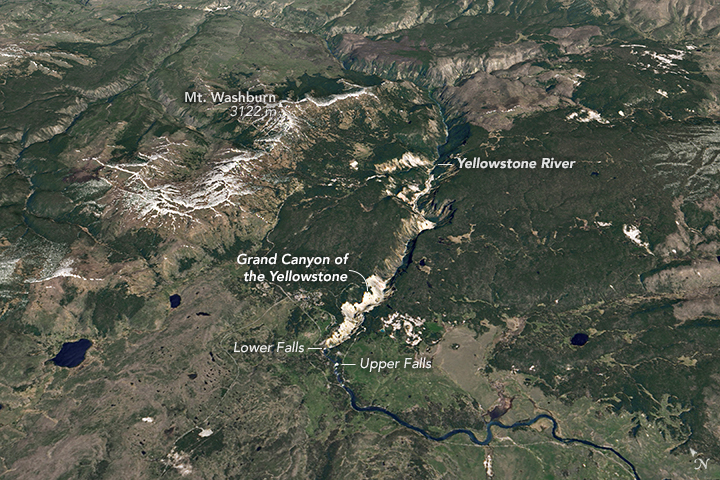 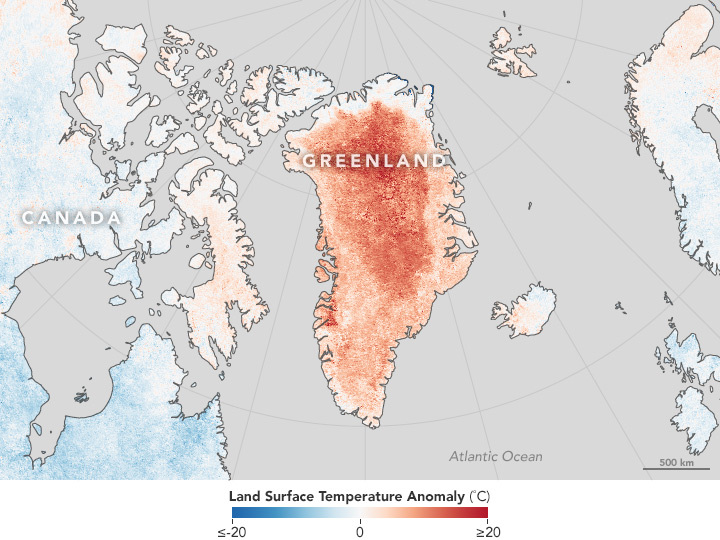 As part of the meeting contributions to science were featured on NASA.gov. 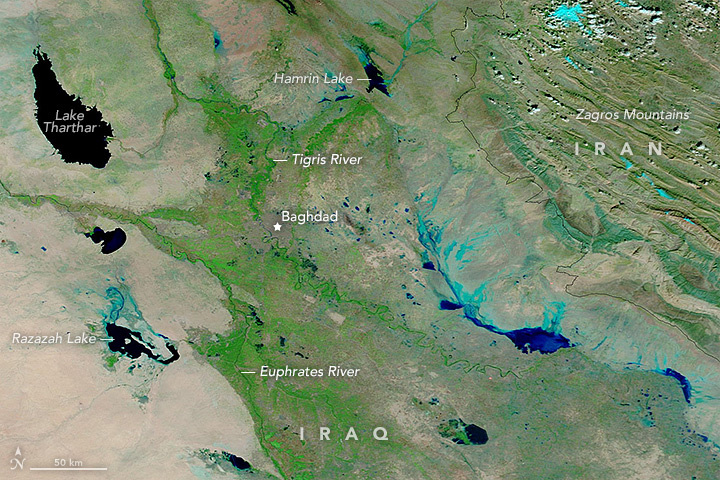 Data from Terra’s instruments played important roles in collecting data to further research in each of these featured areas. 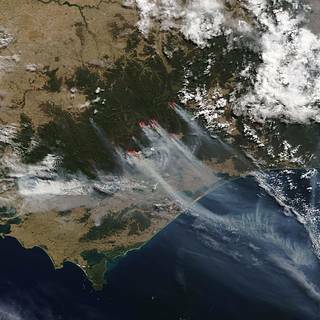 Read the full features from NASA.gov available at the links below. 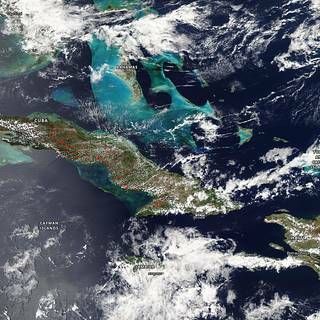 NASA: Observing the 2015 El Niño – The strongest El Niño since 1997 – 1998 is being monitored for the first time by a host of satellites, including Terra. 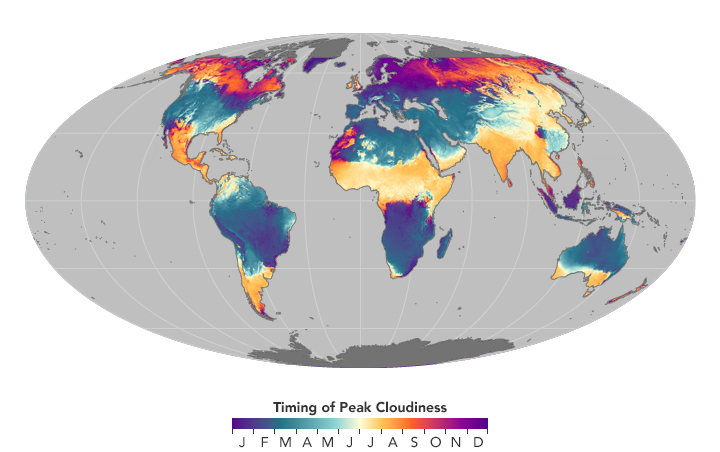 This video (above) features global data sets from Terra’s instruments and their contribution to El Niño research. 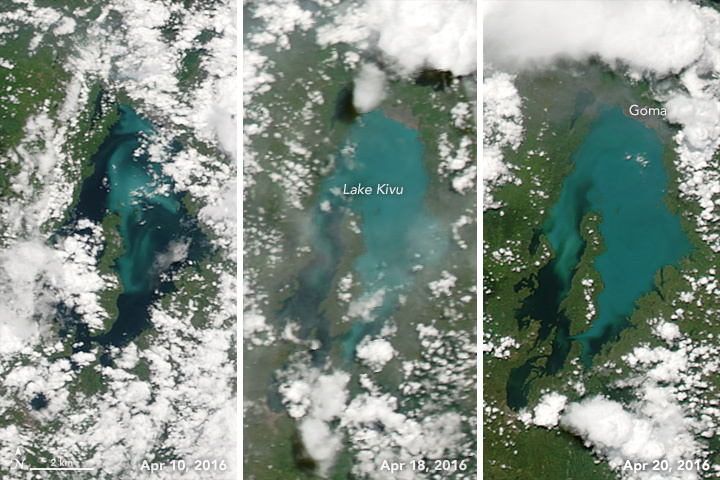 Study Shows Climate Change Rapidly Warming World’s Lakes – The Advanced Spaceborne Thermal Emission and Reflection Radiometer (ASTER) contributed to this study. 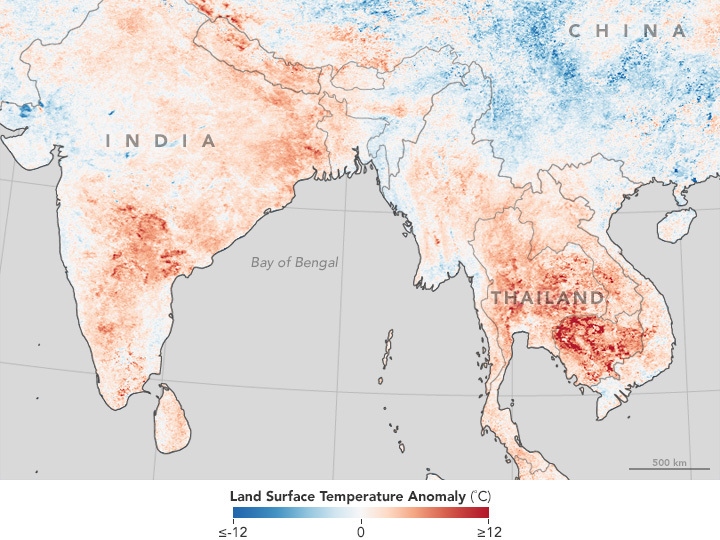 Studies of Recent and Ancient Nepal Quakes Yield Surprises – The Advanced Spaceborne Thermal Emission and Reflection Radiometer (ASTER) contributed to this study.